A U.S. judge says the lawsuit between Microsoft and Motorola is driven by "arrogance" and "hubris." The legal dispute between Microsoft and Motorola, which is in the midst of being acquired by software giant Google, is getting ugly. 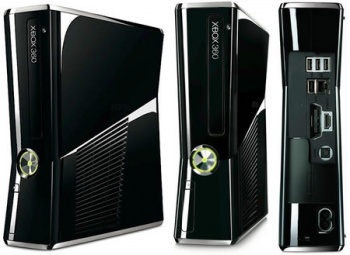 The two companies have been locked in a battle over patent rights owned by Motorola and used in mainstream Microsoft products including the Xbox 360 and Windows 7 operating system; Microsoft alleges that Motorola is demanding unreasonable licensing fees for its patents on technologies that have become industry standards that could reach as much as $4 billion per year, while Motorola says Microsoft gave up its right to those patents on reasonable terms when it skipped the negotiation process and went straight to the courtroom. Motorola scored big last week when a German court granted an injunction against the distribution of "key Microsoft products," including the Xbox 360, in Germany last week, but Microsoft landed a solid counterpunch yesterday when a U.S. judge declined to issue a ruling on motions filed by both Microsoft and Motorola, saying he needs more time to consider the arguments. That's good news for Microsoft because until the U.S. case is resolved, the injunction against Microsoft in Germany will not be enforced. The judge chided both sides in the case for behaving badly, however, noting that both companies are "driven by an attempt to secure commercial advantage." "The court is well aware it is being used as a pawn in a global, industry-wide business negotiation," Judge James Robart said at the end of the hearing. "To an outsider looking at it, it has been arbitrary, it has been arrogant and, frankly, it has been based on hubris." He added that the legal fees in the dispute "could finance a small country." The case has far greater implications than simply whether or not Microsoft can sell its products in Germany. The U.S. International Trade Commission recently declared that Microsoft is infringing upon Motorola's patents and in August will decide whether or not to issue an injunction preventing Microsoft from importing Xbox consoles from China, where production costs are significantly lower than other parts of the world.